Specialized job portal for active and passive job candidates identifies the best opportunities for data scientists, data analysts, statisticians, data engineers, and business analysts. Passive and active job seekers can connect with hiring employers for data analysis, data mining, and statistics related jobs. Employers can post job openings at a single click without getting into the hassles of creating detailed login accounts. Professional staffing specialists and industry skilled recruiters are available upon request. 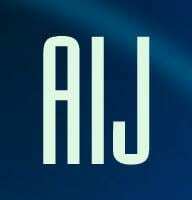 analyticsindiajobs.com is available now and accepting job postings and candidate profiles/resumes. Nice portal for analytic job seekers.